Although documents exist providing information on what is considered the first organized horse race, July 1, 1767 on what would become Canadian soil, very little was known of racing in our country’s pre-confederation period. The unanswered questions and unconsolidated history of horse racing in that era inspired a project for Canadian Horse Racing Hall of Fame president, John Stapleton. Late in 2016 Stapleton made an appeal to Canada’s leading historians to engage the services of a talented emergent Canadian historian. Mason Godden, a Trent University student was the candidate awarded the project. His research was relentlessly reviewed and examined by Trent’s History Professor Dr. James Onusko, one of Canada’s very few professional historians who grew up in a horse racing family. Historian Emeritus Louis Cauz questioned and revisited the manuscript to ensure that the narrative was in full accord with Louis’ encyclopedic understanding of the early years of horse racing in Canada, reworking the text and ensuring the narrative meticulously represented the nuances of our early history. 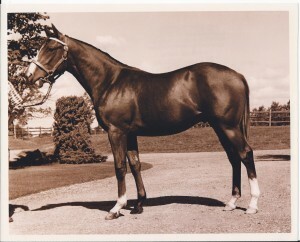 While some questions do remain unanswered, the resulting paper entitled “Celebrating 250 Years of Horse Racing in Canada, Horse Racing Before Confederation” helps fill in the blanks and tie together the bits of pieces of history from across Canada, exploring such topics as Canada’s first horse breeds, The horse’s relationship to Aboriginal peoples, early harness racing in French Canada and Thoroughbreds before Confederation. As we celebrate the 250th Anniversary of that first horse race on the Plains of Abraham, the Canadian Horse Racing Hall of Fame is making an electronic file of the publication available to read online. 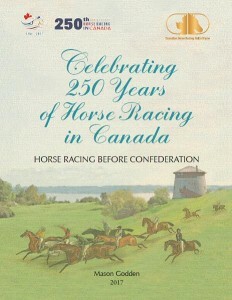 Printed copies are available for all donations of $25 or more to the 250th Anniversary of Horse Racing in Canada Fund. To contribute to the fund, and receive your copy of this uniquely Canadian history project, visit the sponsorship and donations page at this link. The Canadian Horse Racing Hall of Fame Class of 2019 features international stars of the industry, two horses bred in Québec, a female trainer and people representing British Columbia, Alberta and Ontario.